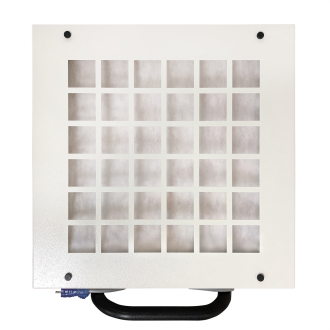 OmniAire 1200PAC Portable Air Cleaner is designed for use in hospital and medical environments or where there is a risk of bio-contaminants such as virus are a concern. The combination of a medical grade 99.99% HEPA filter and UV Germicidal-Irradiation offers the highest level of protection for both health care professionals and patients. 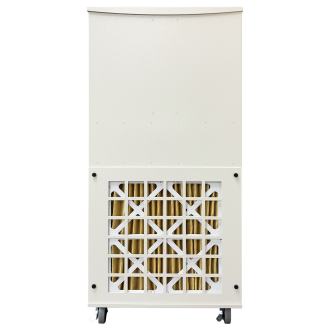 The major design elements of this machine include quiet operation, fully variable air flow, light weight, and a small footprint. Versatile 1200PAC machines can be used to provide either positive or negative pressure environments or act as a re-circulation air scrubber device. 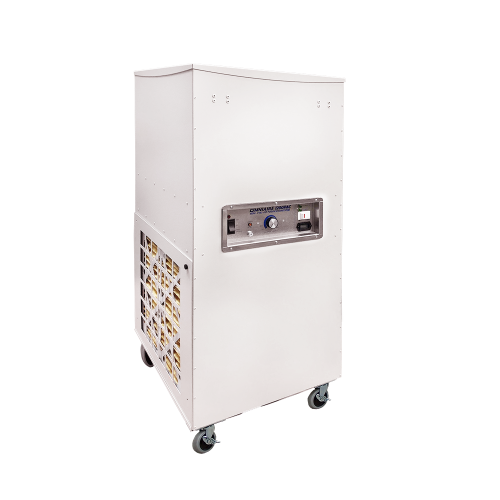 Our medical line of machines utilizes an upright housing configuration on smooth rolling 3″ hospital-grade casters resulting in a highly portable and effective solution for healthcare facility air quality concerns. We are always concerned with providing the highest levels of protection for hospital workers and patients. After hospital cleaning staff carry out infectious disease control cleanup procedures (the removal of all physical items) in the infected areas, hospital rooms, and healthcare facilities can then be put back in service faster if the air is purified with a 99.99% efficient@ .3 Micron HEPA filter, and sterilized with UVG-I lights using an OmniAire 1200PAC Portable Air Cleaner. This results in minimal room shut down and disruption, which is a major concern for all hospital administrations.